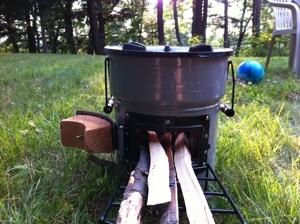 In case you haven’t read/seen my past review of the Stovetec rocket stove a rocket stove is a highly efficient wood-burning cooking stove that requires very little wood to boil water or cook an entire meal. Due to its design that allows for complete combustion, with just a few twigs and sticks you can maintain a hot burning fire that’s super clean and produces practically no smoke. My first impression of the stove — for the most part — was very positive. 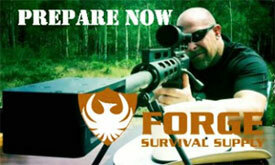 It comes wrapped in professional-looking packaging that comes shipped in a well protected box. I did notice when initially checking things over that there were a few screws (mainly the doors and one of the door handles) that required some tightening up. But beyond that, it’s appears to be a solidly built stove that will last a long time. When you first look at the EcoZoom stove, you’ll probably notice how similar in design it is with the Stovetec version of the rocket stove. That is probably because it likely made from the same manufacturer. 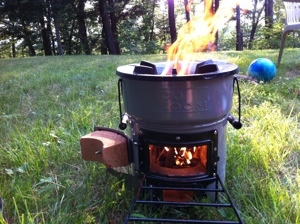 Despite the similarities, there are a number of differences when compared to the Stovetec version of the rocket stove I have which I feel make this EcoZoom rocket stove a superior product. *Note: Stovetec now appears to make the “Deluxe Wood or Charcoal Metal Lined 2 Door Stove” which for all extents and purposes appears to be the same as the “Zoom Versa” stove. However, since I cannot comment specifically on that stove I will be comparing the Zoom Versa with the Stovetec Wood and Charcoal model I have. One of the things I didn’t like about the Stovetec stove was it’s 3 pronged pot-support design. With smaller pots, I had to have the botttom of the pot positioned perfectly on the pot supports or else it would kip over. With Ecozoom’s design of six pot-supports, the smaller pots stay on without issue. This design also allows one to easily use a wok or other round bottom pot. 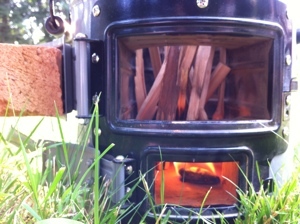 This is one of the main improvements I feel the Ecozoom stove has made compared to the Stovetec version I have. The doors are a much better designed. The Stovetec doors, being made of thin metal, had no hinges and required that you slide them on and off. To me they always felt a bit flimsy and I thought that after repeated use that the door channels would eventually would wear down and become less effective over time or worse, break. The EcoZoom Versa doors are solidly made with a reinforced metal frame. The hinged design of the doors allows for easy opening and closing (which was a bit of a pain with the Stovetec stove I have) to change up fuels or to regulate airflow. 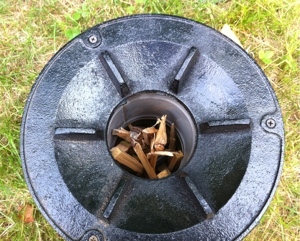 Another great improvement the EcoZoom Versa has made over my original rocket stove is including a metal-lined combustion chamber. Both rocket stoves feature an insulative ceramic chamber that allows these stoves to be so efficient however, since the ceramic chamber is quite brittle it can easily succumb to wear with repeated insertion of wood (which will scrape off the sides and back of the chamber over time). 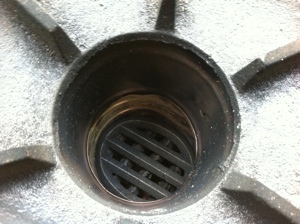 The EcoZoom Versa’s metal-lined chamber will contribute to a longer-lasting stove. 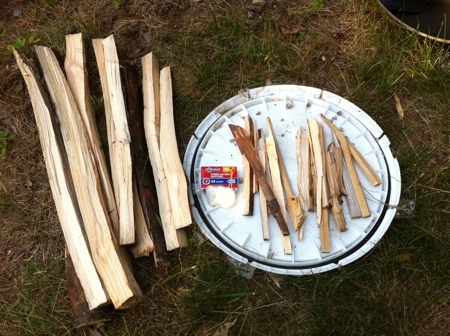 Step 1: Fill burn chamber with small sticks. Step 2: Light the tinder and place in lower compartment. Step 3: Place wood rack in front of stove. Step 4: Insert three to four of the larger sticks in the upper compartment. As mentioned in the article, the EcoZoom Versa stove is very much like the current Stovetec wood-charcoal stove that I own. And while the Stovetec stove is an excellent product, I was very impressed with the EcoZoom stove finding it to be superior in design and manufacture. Having a means of cooking off-grid is of utmost importance when times get tough and it doesn’t get much more efficient or better than a rocket stove. 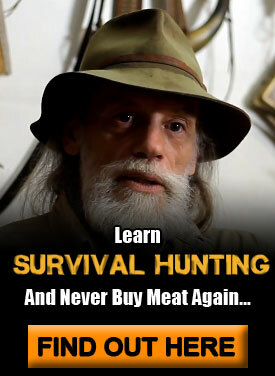 This is definitely on my list of recommended products. 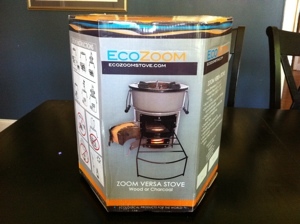 EcoZoom is offering a $5.00 discount on all stoves to my readers. To access this discount, click on the following link: EcoZoom Stoves and enter tiej872011 as the coupon code when checking out (I do receive a small commission for this). This stove is the same as the stovetec deluxe. I am a fan. Yes, they are both excellent. 🙁 the netherlands too complicated? no dealer in the uk or something? the ordinairy stovetec is in the uk, so why not this newer model. I guess I am too quick. please let me know when the ecozoom versa is for sale in the uk or in europe for that matter. You can also build your own. Very true Teri. I’ll be posting that process in an upcoming article. Wish it was easy to build such a beautiful rocketstove ! The older model has crooked doors, they dont slide at all if you ask me. I want one with hinges, that doesnt seem a lot to ask for in this day and age. plans for mars.. and all. :-} we dont have a lot of space in the backyard so its ideal to have such a thing to boil yr water for some coffee, like this morning. I had to cook on a can this morning. 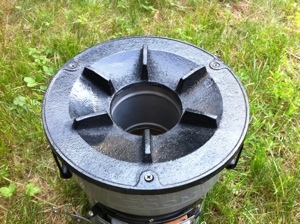 So do you have one of the earlier models of the rocket stove? You mentioned that the older doors don’t “slide”. 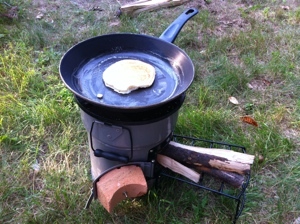 I’m assuming you have the original version of the Stovetec rocketstove. If so, why did you cook on a can? Read the review just now, went to the website, and bought it. I recognize a quality product and good design when I see it. Thanks for bringing this to notice. What a great product for the Third World, more lives will be improved by this stove than any mega-mine or dam boondoggle lining the pockets of some President-for-Life. Water filtration and well-drilling for small villages come to mind as another such thing. How true Forrest. I think you’ll love the stove as much as I do. Thanks for purchasing (since I do make a small commission)! Nini, I will bet you a pound of Gouda cheese if you call them directly and order by telephone, you will be able to get one of the stoves. Actually Nini lives in the Netherlands and up until now they do not ship it there. I did contact an Ecozoom representative and they are working on accepting orders for customers out of the Netherlands. I was looking for great ideas and standards to living life without a grid. I did find that in many of your posts, however, the recommended blogs to visit started with the surv mom.. that whole site is dedicated to those who could not help themselves, let alone a family to care for. My question is, are you in the biz to help those who can not help themselves in 2 day outage of power or to try and convey info to those that can figure a way to save and protect their family in the event if a total breakdown? Not sure I understand your question Greg. What is a “surv mom”? hm nope I never urchased the old version, because I did not trust the doors to slide properly and I was hesitant to believe that it would hold for a long time. On youtube films you see it doesnt slide very well.. if you look closely. forget it I mailed the darings but they dont have a distributor yet, and that is more than a month ago.. I dont know. maybe they cant keep up with orders and do USA first which is a natura thing in my view, but I WANT one ! really bad.. :-)) its stylish too. Thanks for the heads up RidgebackDad. I’ll see if I can contact them about continuing it. I liked your review and am going to buy the pruduct. I tried to use the coupon code of “tiej872011” but there was a message that the coupon expired in October. I still plan to buy the item and hope you get a small commission. You should try amazon.com I’m pretty sure you have that in the Netherlands. Any thoughts on the Zoom Versa Lite vs Zoom Versa? Zoom Versa lite has lightweight fabric insulation vs the ceramic. It is 18#, easier to move about. Would the Zoom Versa be uperior by design? The Lite version does look great. I can’t provide any real comparisons though since I do not have it. Thanks for the comment. 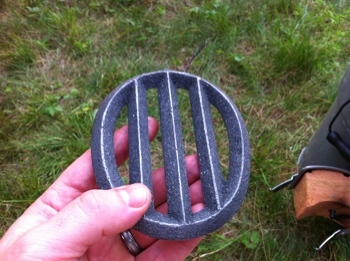 I went ahead and ordered the the Dura ceramic model…didn’t plan to use charcoal which the Versa can use. Thanks for the helpful review…sold me on the product! Great to hear it Jeanne. Enjoy your stove. Both the EcoZoom and StoveTec are the same product. Both are made at the same factory, the only difference is the color and “Brand Name” imprinted on the stove. To try and present one as superior to the other is nothing more than a marketing gimmic such as trying to promote the Dodge Durango as superior to the Chrysler Aspen. Same vehicle, different “look”. Both the StoveTec and EcoZoom will perform identically. The only difference is the price. The EcoZoom runs about five dollars more retail. Thanks for your comments. 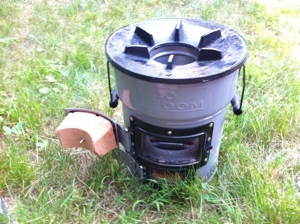 If you read the review, you’ll notice that I compared the EcoZoom versa with an OLDER version of the StoveTec that I have (you can see that review here: http://www.tacticalintelligence.net/blog/rocket-stove.htm). Clearly they are different. One has swinging doors and a metal lined interior and the StoveTec one I have doesn’t. Also, the EcoZoom I have has six prongs to hold pots and the StoveTec I have has only three — the six prongs in my experince holds the pots better (especially the smaller ones). Also, the Ecozoom version I have is slightly bigger. This isn’t a marketing “gimmic”, there are some real improvements. Sorry, but I can only compare the ones that I have personally and comparing the two, this one is superior. 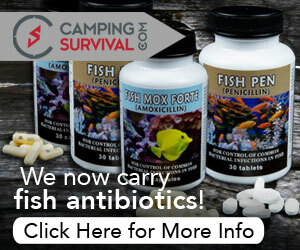 and on the web I found this web page as a most excellent web page for latest updates. but I do write in my journal every day. I’d like to start a blog so I can share my own experience and thoughts online. Please let me know if you have any kind of suggestions or tips for brand new aspiring blog owners. Thankyou! Good article. I have built many rocket heaters to heat my green house. I found this company http://www.dragonheaters.com who is making the whole building process alot easier. They have plans and cast refactory molds for the cores. You should check them out! Hogwash, this stove is identical to the current Stovetec Deluxe, except the paint color and embossing. Buy it, buy Stovetec, no difference whatsoever! None! But do buy one of them. First you are helping yourself. Couldn’t be easier to use. One less thing to worry about when you need it. Second, you’re helping somebody who needs helping. Both companies are out in the real world doing God’s good work getting these devices into the hands of people who need them. My only criticism is, these could be made by American High School kids, I dunno a Junior Achievement project, why aren’t we building them here, instead of sending our treasure to China? Did you try this inside any structure? It seems to be a “rocket stove” rather than a “rocket mass heater,” but would it heat a small room or structure if need be? From another review, it looked like you could put your hand on the side of the stove for some time and only feel a little warmth (so not a lot of heat coming from the sides). Does it have much heat exiting from the small bottom door/the top? Thank you! Could you add a top and flue to this? If so, would it be able to heat a small room or structure? We have been trying to locate the manufacturer so we can import a container, can anyone help? We have been trying to locate the manufacturer so we can import a container, can you possibly help?